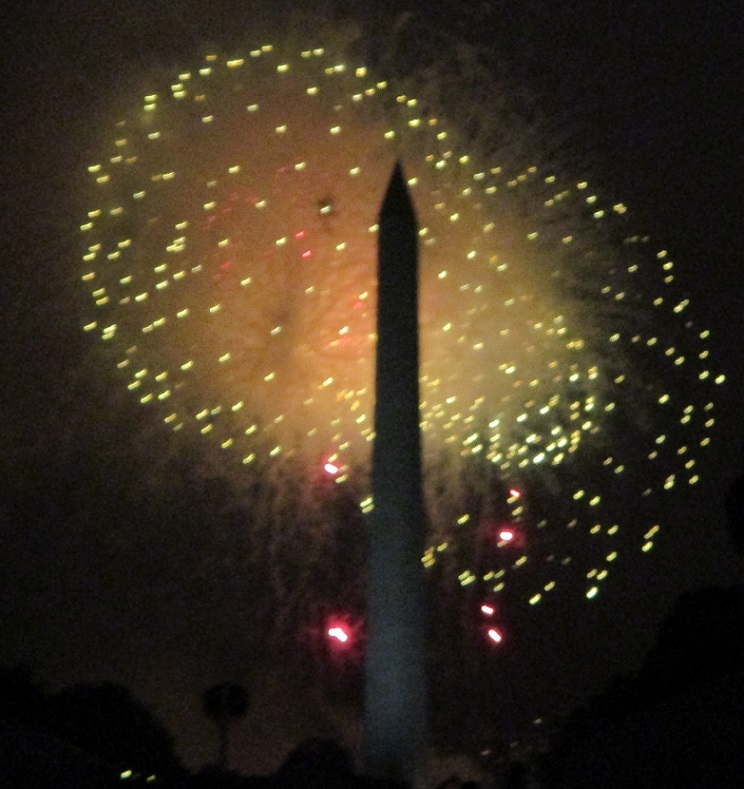 This entry was posted in Travel, USA, Washington D.C. and tagged fireworks, garden, holiday, July 4, rain. Bookmark the permalink. There were so many things to do the day went by very quickly! I’m envious of your day, Meg. I have always wanted to visit our Capitol or be in Boston over the 4th. The Library of Congress is beautiful. Everything I saw was amazing – you should definitely consider going sometime. It’s great! That’s the perfect way to spend the 4th of July! I don’t know if I’d be able to brave the crowds since it’s usually crazy enough in Boston, but your photos make me want to try it one of these years. What a wonderful afternoon. You were busy and enjoyed yourself. Thanks for sharing. I can’t believe that I was able to see so many places – it was a great day! The Library of Congress is one of my favorite places. Beautiful pictures. What a wonderful way to spend the 4th of July. Takes me back to my July 4th experience in Washington DC; the fireworks were unforgettable. Everything worked out so well – it was a really special day! Very nice road trip. Very interesting to see Your photos from Washington D.C.. Thank You. Thanks – it was really a memorable day! It is a beautiful library Jo – an interesting part of a fantastic day! The Library of Congress is still something I haven’t managed to visit in several visits to D.C. over the years — what a stunning building! It’s so impressive and the walking tour of the building was excellent! We’ve never been to the fireworks in DC. Thanks for sharing your experience. It was something that I’ve always wanted to do – it was amazing to be there on July 4th! Loved your photos! Thanks for sharing! Thanks – it was great to see so many beautiful places!